If there is one thing I love its an eyeshadow palette (or a lipstick!) and when I saw that Juvia's Place had dropped on Beauty Bay I decided to snap up one of the eyeshadow palettes. I opted for the Saharan Palette as the warm tones, with a few greens and purples chucked in, appealed to me the most. 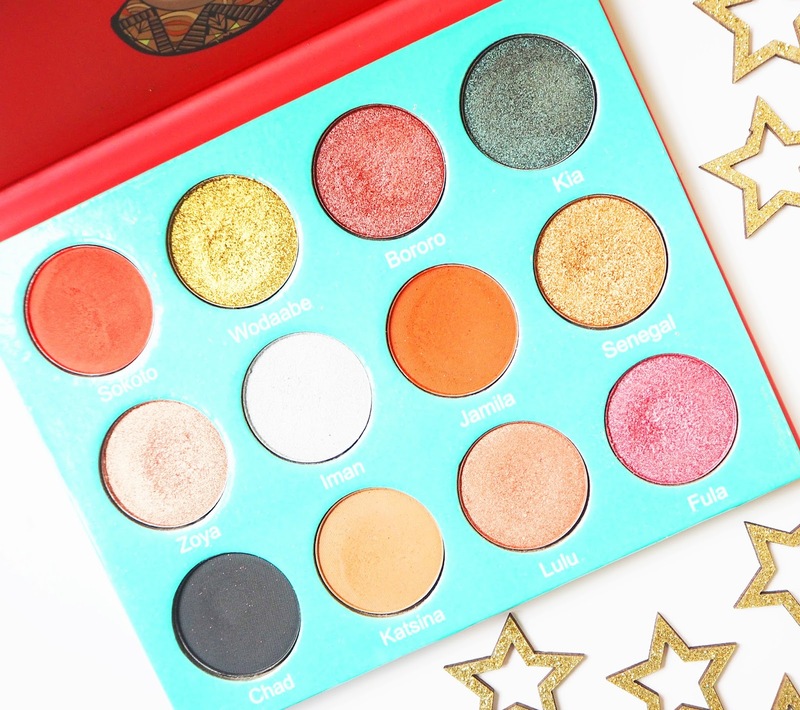 I like that the colours in here aren't typical of a eyeshadow palette, I feel like the extra pops of colour add something different and that you can create some really unusual combinations. The palette consists of twelve shades, four of which are mattes and the others are mixture of shimmers and a few which have more of a foil finish. The packaging is bright red and blue which is so vibrant and fun. The material itself is cardboard but it doesn't feel too light or cheap. My one bug bear with this packaging though is that it doesn't have a mirror, I assume this has been done to keep the cost down but even so, I would rather pay a little more and get a mirror included. The formula of these are pretty intense- the colour pay off, particularly of the more shimmery ones, is amazing. 'Wodaabe' is a green/gold shade and 'Fula' is a gorgeous purple colour, both of these I love for Autumn and have become my favourites. The mattes are still good but not quite as full on, this isn't necessarily a bad thing though as they layer and blend nicely. I also just want to mention 'Sokoto' which is a such a vibrant red, orange shade that I absolutely loved using. Personally I'm not keen on the shade 'Iman' which is a duo chrome silvery, blue shade. Don't get me wrong its very pretty but for me I just never have much of a use for these kind of colours. I think the only thing I would possibly use it for is an inner corner highlight which doesn't really warrant a space in the palette I don't feel. I feel this palette lacks transition shades so I would love to have seen another of those in there instead. 'Katsina' does work as a transition but a slightly lighter brown would have come in handy when creating looks with this. The black shade 'Chad' is a also a bit on the patchy side and as you can tell from the picture I struggled to get a decent swatch. Overall I've been so pleased with this palette, the colours are beautiful and the formula is pretty damn good. I definetely want to get my mitts on more from Juvia's Place as all of their palettes were eye-catching with some amazing pops of colour. You can create so many looks with this little gem and I'm going to have fun continuing to play about with the colours for both day time and evening looks. 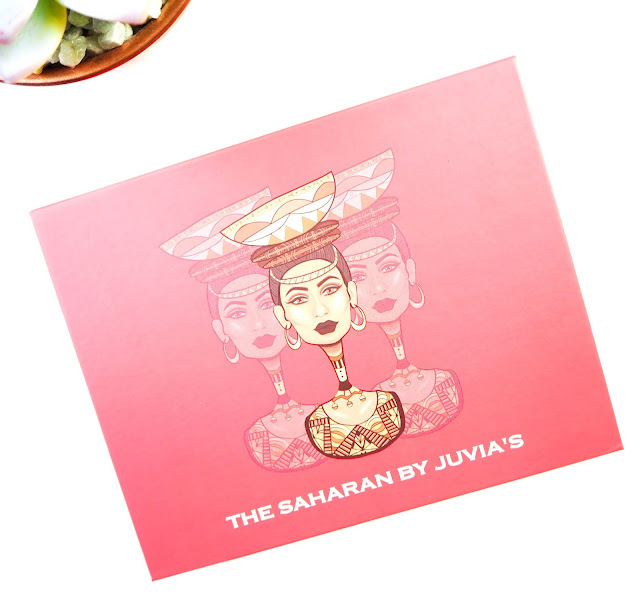 Let me know what you've tried from Juvia's Place and what you thought of it, I'd be intrigued to know!